In honor of opening day of baseball season, here is a picture from the Library of Congress exhibit "Baseball Americana." The exhibit, I was delighted to discover, quotes a column I wrote in July 2013. 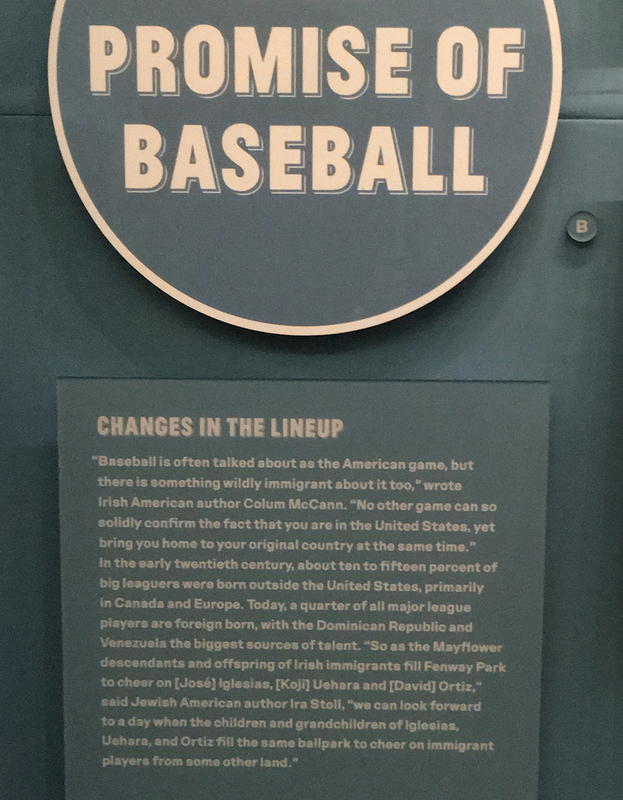 If you happen to be in Washington and have any interest in the national pastime, I highly recommend a visit to this exhibit. Part of the Baseball Americana exhibit on display at the Library of Congress.